Herbert Alexander Simon was an American economist, political scientist and cognitive psychologist, whose primary research interest was decision-making within organizations and is best known for the theories of "bounded rationality" and "satisficing". He received the Nobel Prize in Economics in 1978 and the Turing Award in 1975. His research was noted for its interdisciplinary nature and spanned across the fields of cognitive science, computer science, public administration, management, and political science. He was at Carnegie Mellon University for most of his career, from 1949 to 2001. Hubert Dreyfus describes this argument as claiming that "if the nervous system obeys the laws of physics and chemistry, which we have every reason to suppose it does, then .... we ... ought to be able to reproduce the behavior of the nervous system with some physical device". This argument, first introduced as early as 1943  and vividly described by Hans Moravec in 1988,  is now associated with futurist Ray Kurzweil, who estimates that computer power will be sufficient for a complete brain simulation by the year 2029. A non-real-time simulation of a thalamocortical model that has the size of the human brain (1011 neurons) was performed in 2005  and it took 50 days to simulate 1 second of brain dynamics on a cluster of 27 processors. Few[ quantify ] disagree that a brain simulation is possible in theory,[ citation needed ][ according to whom? ] even critics of AI such as Hubert Dreyfus and John Searle. However, Searle points out that, in principle, anything can be simulated by a computer; thus, bringing the definition to its breaking point leads to the conclusion that any process at all can technically be considered "computation". "What we wanted to know is what distinguishes the mind from thermostats and livers," he writes. Thus, merely mimicking the functioning of a brain would in itself be an admission of ignorance regarding intelligence and the nature of the mind [ citation needed ]. In 1931, Kurt Gödel proved with an incompleteness theorem that it is always possible to construct a "Gödel statement" that a given consistent formal system of logic (such as a high-level symbol manipulation program) could not prove. Despite being a true statement, the constructed Gödel statement is unprovable in the given system. (The truth of the constructed Gödel statement is contingent on the consistency of the given system; applying the same process to a subtly inconsistent system will appear to succeed, but will actually yield a false "Gödel statement" instead. )[ citation needed ] More speculatively, Gödel conjectured that the human mind can correctly eventually determine the truth or falsity of any well-grounded mathematical statement (including any possible Gödel statement), and that therefore the human mind's power is not reducible to a mechanism . Philosopher John Lucas (since 1961) and Roger Penrose (since 1989) have championed this philosophical anti-mechanist argument. Gödelian anti-mechanist arguments tend to rely on the innocuous-seeming claim that a system of human mathematicians (or some idealization of human mathematicians) is both consistent (completely free of error) and believes fully in its own consistency (and can make all logical inferences that follow from its own consistency, including belief in its Gödel statement) [ citation needed ]. This is provably impossible for a Turing machine [ clarification needed ] (and, by an informal extension, any known type of mechanical computer) to do; therefore, the Gödelian concludes that human reasoning is too powerful to be captured in a machine [ dubious – discuss ]. The words "mind" and "consciousness" are used by different communities in different ways. Some new age thinkers, for example, use the word "consciousness" to describe something similar to Bergson's "élan vital": an invisible, energetic fluid that permeates life and especially the mind. Science fiction writers use the word to describe some essential property that makes us human: a machine or alien that is "conscious" will be presented as a fully human character, with intelligence, desires, will, insight, pride and so on. (Science fiction writers also use the words "sentience", "sapience," "self-awareness" or "ghost" - as in the Ghost in the Shell manga and anime series - to describe this essential human property). For others [ who? ], the words "mind" or "consciousness" are used as a kind of secular synonym for the soul. 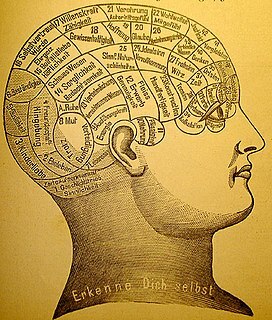 For philosophers, neuroscientists and cognitive scientists, the words are used in a way that is both more precise and more mundane: they refer to the familiar, everyday experience of having a "thought in your head", like a perception, a dream, an intention or a plan, and to the way we know something, or mean something or understand something [ citation needed ]. "It's not hard to give a commonsense definition of consciousness" observes philosopher John Searle. What is mysterious and fascinating is not so much what it is but how it is: how does a lump of fatty tissue and electricity give rise to this (familiar) experience of perceiving, meaning or thinking? Neurobiologists believe all these problems will be solved as we begin to identify the neural correlates of consciousness: the actual relationship between the machinery in our heads and its collective properties; such as the mind, experience and understanding. Some of the harshest critics of artificial intelligence agree that the brain is just a machine, and that consciousness and intelligence are the result of physical processes in the brain. The difficult philosophical question is this: can a computer program, running on a digital machine that shuffles the binary digits of zero and one, duplicate the ability of the neurons to create minds, with mental states (like understanding or perceiving), and ultimately, the experience of consciousness? Gottfried Leibniz made essentially the same argument as Searle in 1714, using the thought experiment of expanding the brain until it was the size of a mill. In 1974, Lawrence Davis imagined duplicating the brain using telephone lines and offices staffed by people, and in 1978 Ned Block envisioned the entire population of China involved in such a brain simulation. This thought experiment is called "the Chinese Nation" or "the Chinese Gym". Ned Block also proposed his Blockhead argument, which is a version of the Chinese room in which the program has been re-factored into a simple set of rules of the form "see this, do that", removing all mystery from the program. The systems reply and the virtual mind reply:  This reply argues that the system, including the man, the program, the room, and the cards, is what understands Chinese. 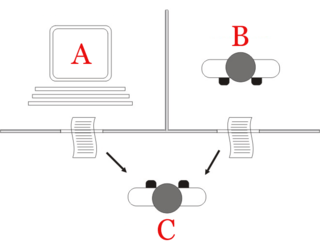 Searle claims that the man in the room is the only thing which could possibly "have a mind" or "understand", but others disagree, arguing that it is possible for there to be two minds in the same physical place, similar to the way a computer can simultaneously "be" two machines at once: one physical (like a Macintosh) and one "virtual" (like a word processor). Speed, power and complexity replies:  Several critics point out that the man in the room would probably take millions of years to respond to a simple question, and would require "filing cabinets" of astronomical proportions. This brings the clarity of Searle's intuition into doubt. Brain simulator reply:  What if the program simulates the sequence of nerve firings at the synapses of an actual brain of an actual Chinese speaker? The man in the room would be simulating an actual brain. This is a variation on the "systems reply" that appears more plausible because "the system" now clearly operates like a human brain, which strengthens the intuition that there is something besides the man in the room that could understand Chinese. Other minds reply and the epiphenomena reply:  Several people have noted that Searle's argument is just a version of the problem of other minds, applied to machines. Since it is difficult to decide if people are "actually" thinking, we should not be surprised that it is difficult to answer the same question about machines. Turing argues that these objections are often based on naive assumptions about the versatility of machines or are "disguised forms of the argument from consciousness". Writing a program that exhibits one of these behaviors "will not make much of an impression." All of these arguments are tangential to the basic premise of AI, unless it can be shown that one of these traits is essential for general intelligence. "Self awareness", as noted above, is sometimes used by science fiction writers as a name for the essential human property that makes a character fully human. Turing strips away all other properties of human beings and reduces the question to "can a machine be the subject of its own thought?" Can it think about itself? Viewed in this way, a program can be written that can report on its own internal states, such as a debugger. Though arguably self-awareness often presumes a bit more capability; a machine that can ascribe meaning in some way to not only its own state but in general postulating questions without solid answers: the contextual nature of its existence now; how it compares to past states or plans for the future, the limits and value of its work product, how it perceives its performance to be valued-by or compared to others. In 2009, scientists at Aberystwyth University in Wales and the U.K's University of Cambridge designed a robot called Adam that they believe to be the first machine to independently come up with new scientific findings. Also in 2009, researchers at Cornell developed Eureqa, a computer program that extrapolates formulas to fit the data inputted, such as finding the laws of motion from a pendulum's motion. One issue is that machines may acquire the autonomy and intelligence required to be dangerous very quickly. Vernor Vinge has suggested that over just a few years, computers will suddenly become thousands or millions of times more intelligent than humans. He calls this "the Singularity." He suggests that it may be somewhat or possibly very dangerous for humans. This is discussed by a philosophy called Singularitarianism. The President of the Association for the Advancement of Artificial Intelligence has commissioned a study to look at this issue. They point to programs like the Language Acquisition Device which can emulate human interaction. ↑ McCarthy, John. "The Philosophy of AI and the AI of Philosophy". jmc.stanford.edu. Retrieved 2018-09-18. ↑ Russell & Norvig 2003 , p. 947 define the philosophy of AI as consisting of the first two questions, and the additional question of the ethics of artificial intelligence. Fearn 2007 , p. 55 writes "In the current literature, philosophy has two chief roles: to determine whether or not such machines would be conscious, and, second, to predict whether or not such machines are possible." The last question bears on the first two. 1 2 3 4 This version is from Searle (1999), and is also quoted in Dennett 1991 , p. 435. Searle's original formulation was "The appropriately programmed computer really is a mind, in the sense that computers given the right programs can be literally said to understand and have other cognitive states." ( Searle 1980 , p. 1). Strong AI is defined similarly by Russell & Norvig (2003 , p. 947): "The assertion that machines could possibly act intelligently (or, perhaps better, act as if they were intelligent) is called the 'weak AI' hypothesis by philosophers, and the assertion that machines that do so are actually thinking (as opposed to simulating thinking) is called the 'strong AI' hypothesis." ↑ See Russell & Norvig 2003 , p. 3, where they make the distinction between acting rationally and being rational, and define AI as the study of the former. ↑ Turing 1950 and see Russell & Norvig 2003 , p. 948, where they call his paper "famous" and write "Turing examined a wide variety of possible objections to the possibility of intelligent machines, including virtually all of those that have been raised in the half century since his paper appeared." ↑ Russell & Norvig (2003 , pp. 48–52) consider a thermostat a simple form of intelligent agent, known as a reflex agent. For an in-depth treatment of the role of the thermostat in philosophy see Chalmers (1996 , pp. 293–301) "4. Is Experience Ubiquitous?" subsections What is it like to be a thermostat?, Whither panpsychism?, and Constraining the double-aspect principle. ↑ Graham Oppy (20 January 2015). "Gödel's Incompleteness Theorems". 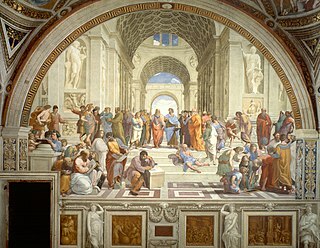 Stanford Encyclopedia of Philosophy . Retrieved 27 April 2016. These Gödelian anti-mechanist arguments are, however, problematic, and there is wide consensus that they fail. ↑ Stuart J. Russell; Peter Norvig (2010). "26.1.2: Philosophical Foundations/Weak AI: Can Machines Act Intelligently?/The mathematical objection". Artificial Intelligence: A Modern Approach (3rd ed.). Upper Saddle River, NJ: Prentice Hall. ISBN 978-0-13-604259-4. ...even if we grant that computers have limitations on what they can prove, there is no evidence that humans are immune from those limitations. ↑ Russell & Norvig 2003 , p. 950 They point out that real machines with finite memory can be modeled using propositional logic, which is formally decidable, and Gödel's argument does not apply to them at all. ↑ Hofstadter 1979 , pp. 476–477, Russell & Norvig 2003 , p. 950, Turing 1950 under "The Argument from Mathematics" where he writes "although it is established that there are limitations to the powers of any particular machine, it has only been stated, without sort of proof, that no such limitations apply to the human intellect." ↑ Litt, Abninder; Eliasmith, Chris; Kroon, Frederick W.; Weinstein, Steven; Thagard, Paul (6 May 2006). "Is the Brain a Quantum Computer?". Cognitive Science. 30 (3): 593–603. doi:10.1207/s15516709cog0000_59. PMID 21702826. 1 2 3 Turing 1950 under "(4) The Argument from Consciousness". See also Russell & Norvig , pp. 952–3, where they identify Searle's argument with Turing's "Argument from Consciousness." ↑ Cole 2004 , 4.2 ascribes this position to Ned Block, Daniel Dennett, Tim Maudlin, David Chalmers, Steven Pinker, Patricia Churchland and others. ↑ Searle 1980 under "5. The Other Minds Reply", Cole 2004 , 4.4. Turing 1950 makes this reply under "(4) The Argument from Consciousness." Cole ascribes this position to Daniel Dennett and Hans Moravec. ↑ Deutsch, David (2012-10-03). "Philosophy will be the key that unlocks artificial intelligence | David Deutsch". the Guardian. Retrieved 2018-09-18. "Computing Machinery and Intelligence" is a seminal paper written by Alan Turing on the topic of artificial intelligence. The paper, published in 1950 in Mind, was the first to introduce his concept of what is now known as the Turing test to the general public. Hubert Lederer Dreyfus was an American philosopher and professor of philosophy at the University of California, Berkeley. An artificial brain is software and hardware with cognitive abilities similar to those of the animal or human brain. 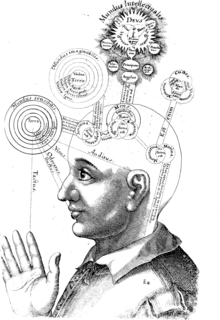 In philosophy, the computational theory of mind (CTM) refers to a family of views that hold that the human mind is an information processing system and that cognition and consciousness together are a form of computation. Warren McCulloch and Walter Pitts (1943) were the first to suggest that neural activity is computational. They argued that neural computations explain cognition. The theory was proposed in its modern form by Hilary Putnam in 1967, and developed by his PhD student, philosopher and cognitive scientist Jerry Fodor in the 1960s, 1970s and 1980s. Despite being vigorously disputed in analytic philosophy in the 1990s due to work by Putnam himself, John Searle, and others, the view is common in modern cognitive psychology and is presumed by many theorists of evolutionary psychology. In the 2000s and 2010s the view has resurfaced in analytic philosophy. AI@50, formally known as the "Dartmouth Artificial Intelligence Conference: The Next Fifty Years", was a conference organized by James Moor, commemorating the 50th anniversary of the Dartmouth workshop which effectively inaugurated the history of artificial intelligence. Five of the original ten attendees were present: Marvin Minsky, Ray Solomonoff, Oliver Selfridge, Trenchard More, and John McCarthy. Mechanism is the belief that natural wholes are like complicated machines or artefacts, composed of parts lacking any intrinsic relationship to each other. Thus, the source of an apparent thing's activities is not the whole itself, but its parts or an external influence on the parts. The Penrose–Lucas argument is a logical argument partially based on a theory developed by mathematician and logician Kurt Gödel. In 1931, he proved that every effectively generated theory capable of proving basic arithmetic fails to be either consistent or complete. Mathematician Roger Penrose modified the argument in his first book on consciousness, The Emperor's New Mind (1989), where he used it to provide the basis of the theory of orchestrated objective reduction.